On the way into town I recognized a National Park Service sign for the Brown v. Board of Education National Historic Site (site / wiki). Similar to other racially charged historic sites I’ve visited earlier on this trip, it’s a lot to take in. There was one display that resonated with me. It was a dark hallway lined with four large screen televisions depicting the violence and racism of the civil rights movement. It was raw, with clips of racist speeches from behind podiums and racist shouts from behind national guardsmen. 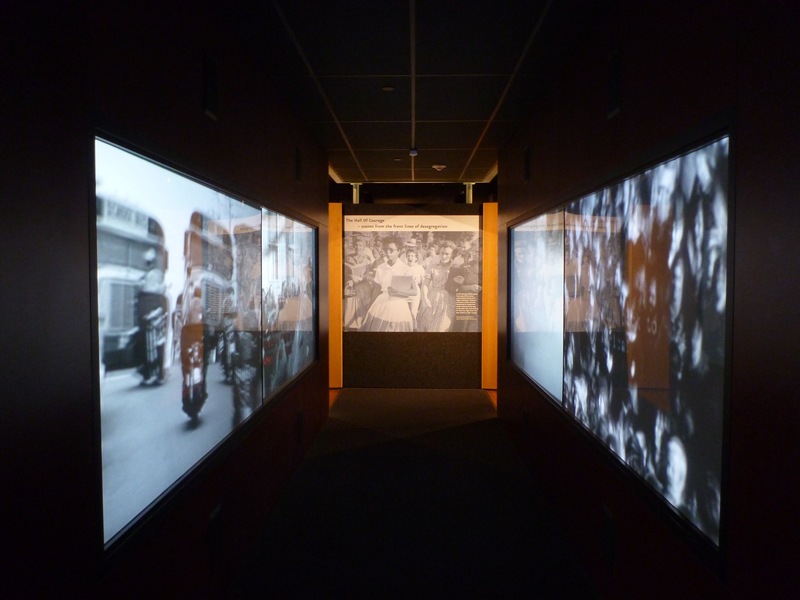 The video clips ran continuously, but the audio was triggered by motion detectors tracking the viewer. It was effective in conveying the sense of being surrounded. The focus of the sound would hardly begin to fade out before someone from over my shoulder would pick up where they left off. Brown vs Board of Education National Historic Site, Topeka. My next stop in Kansas was down in Wichita. The Cotillion (venue) has been around since 1960. It’s tucked behind a Peterbilt dealership. Band acknowledged the Oklahoma fans in the crowd. They were booed by Kansas locals. Instruments: fiddles, saloon piano and organ, quiet banjo man, sit-down slide guitar, standard drum set with the Tennessee flag on the bass, the guitarist had a kick tambourine, and the stand-up bass clomps along. They performed down the line solos in classic Nashville style. Front man (Ketch Secor) is an amazing musician. A roady would hold his harmonica to his mic and he would transition from fiddle solo to harmonica in quarter count. I knew the progression of some songs, it was astounding that he could transition that quickly and fluidly. I had assumed they tightened up the gaps with editing, or had different people as singer and fiddler. 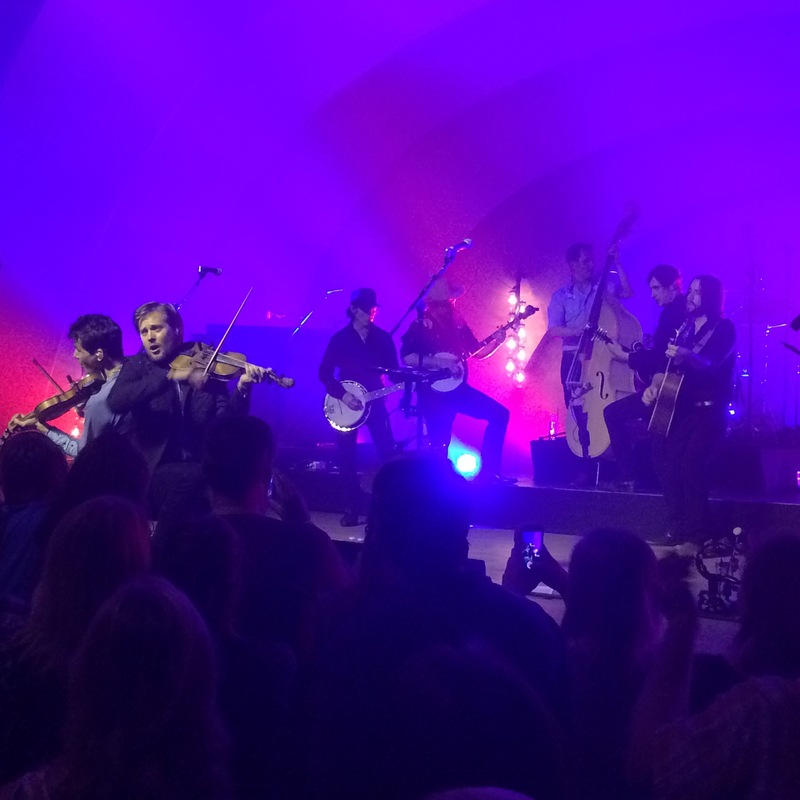 Old Crow Medicine Show in Wichita. Ketch is far left. It was a boot stomping, yip-yelling good time. Totally worth the $30. 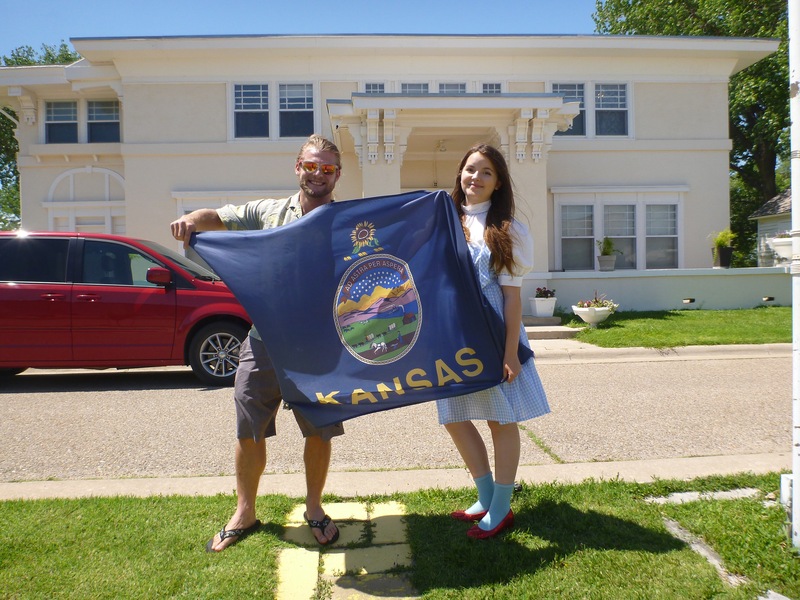 Dorthy wasn’t overly excited to pose for the flag swap picture, but her manager insisted. I can’t blame her though – I don’t come off as entirely sane these days.